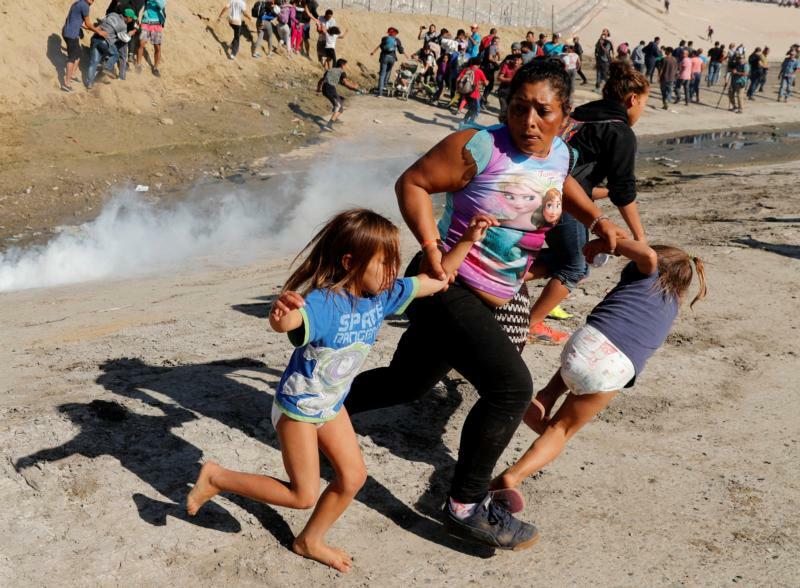 MEXICO CITY (CNS) — The chaotic scene in Tijuana Nov. 25 — when migrants, including women and children, were repelled from the U.S. border with tear gas — prompted the closure of one of the world’s busiest border crossings. It also showed the increasing impatience and despair of thousands of caravan participants, who could spend months in an uncomfortable camp as they wait to present asylum claims to U.S. officials. “I … gave them this advice, but they ignored it because the leaders (the activists) taking them made them believe that they were going to be able to do it, when in reality, it wasn’t like that,” said Father Solalinde. “Unfortunately, there are groups (of migrants) there that want to cross the border under these circumstances,” he said in late November. Father Andres Ramirez, who works with migrants in Tijuana, called the response “unprecedented” and said such a border closure as occurred Nov. 25 had not happened since the 9/11 terrorist attacks. Father Solalinde has refused to accompany migrants farther north than Mexico City, saying the road poses risks such as kidnap. He recounted how one group of migrants, who were evangelicals, and told him: God will take care of us and “touch the heart” of president Donald Trump. “They truly thought that God was going to move the heart of this person, but no! no! no! It wasn’t like that,” Father Solalinde said. He added that some in that group of 250 migrants had gone missing since setting out from Mexico City for Tijuana. “They wouldn’t take into account the current political climate, the (Dec. 1 presidential) transition in Mexico, the bad organization that they had, because they didn’t see the opportunity for people to help them,” Father Solalinde said, speaking to the haste of many to rush to the border and not fully consider the opportunity to work in Mexico or apply for asylum there. The Washington Post reported Nov. 24 the United States and Mexico’s incoming government had reached an agreement known as “Remain in Mexico,” in which asylum seekers would wait south of the border while their claims are processed in U.S. courts. Incoming Mexican Interior Minister Olga Sanchez Cordero later denied the story, but did not disavow her comments to the Post confirming a deal. She also denied Mexico would become a “safe third” country, which would mean migrants in Mexico would be considered to have already found safety. In effect, “Remain in Mexico is the configuration of Mexico as a safe third country,” said Andrade.